I’m happy to say that I will become an assistant professor at Chicago Booth in July. This entry was posted in Uncategorized on 27 March 2014 by jdingel. In the course of researching my job market paper, I read a lot of old or obscure literature related to the Linder hypothesis. It yielded some real gems. Unfortunately, I also unearthed some big disappointments. You’ll see what I mean in a moment. This paper presents empirical evidence in support of the Linder hypothesis for five of the six East African developing countries studied here: Ethiopia, Kenya, Rwanda, Sudan and Uganda. This finding implies that these countries trade more intensively with others who have similar per capita income levels, as predicted by Linder. The contributions of this research are three-fold. First, new information is provided on the Linder hypothesis by focusing on developing countries. Second, this is one of very few analyses to capture both time-series and cross-section elements of the trade relationship by employing a panel data set. Third, the empirical methodology used in the analysis corrects a major shortcoming in the existing literature by using a censored dependent variable in estimation. 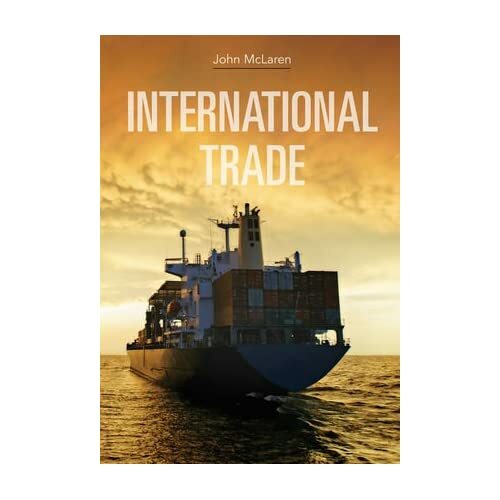 This paper presents empirical evidence in support of the Linder theory of international trade for three of the South Asian countries, Bangladesh, India, and Pakistan. This finding implies that these countries trade more intensively with countries of other regions, which may have similar per capita income levels, as predicted by Linder in his hypothesis. 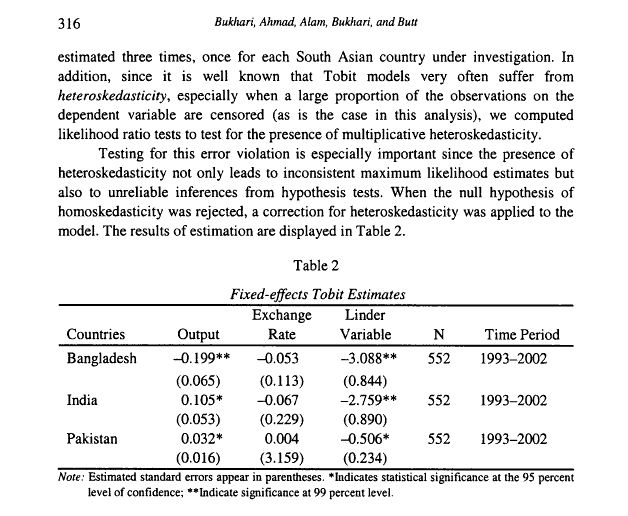 The contribution of this research is threefold: first, there is new information on the Linder hypothesis by focusing on South Asian countries; second, this is one of very few analyses to capture both time-series and cross-section elements of the trade relationship by employing a panel data set; third, the empirical methodology used in this analysis corrects a major shortcoming in the existing literature by using a censored dependent variable in estimation. That’s Bangladesh-Kenya, India-Ethiopia, and Pakistan-Uganda with identical rows. The same thing occurs in Table 3. It continues, all the way through the concluding paragraphs. This entry was posted in Uncategorized on 25 November 2013 by jdingel. Notice that this argument is wholly dependent on increasing returns; in a world of diminishing returns strong domestic demand for a good will tend to make it an import rather than an export. But the point does not come through clearly in models where increasing returns take the form of external economies (see W. M. Corden). One of the main contributions of the approach developed in this paper is that by using this approach the home market can be given a simple formal justification. A third approach might be to introduce transport costs. Transporting goods from one country to another uses up resources, and from the point of view of maximising world income it will pay to minimise transport costs. Given that in the final equilibrium both countries will specialise, each country should then specialise on the good for which it has the relatively greater demand, since this will minimise transporting. This seems obvious. Provided we do not introduce other complications, trade along Linder lines will maximise potential world income. But it does not seem so easy to prove that trade will actually assume that pattern. Suppose that, for some reason, one starts with the trade flow in the opposite direction. One might explain this in terms of some dynamic considerations. Will there then be a natural tendency for the pattern of specialisation and hence the flow of trade to reverse itself? It does not seem obvious that this would be so. There is scope for further theoretical explorations here. As Krugman himself has commented: “Now it is always tricky to reread old texts in the light of subsequent information; knowing what actually happened, you can probably find a prophecy of Nostradamus that fits the event, and knowing subsequent developments in economic theory, you can probably find most of it hinted at in Ibn Khaldun.” Still, I think Corden was onto something in 1970. This entry was posted in Uncategorized on 11 October 2013 by jdingel. This entry was posted in Uncategorized on 15 May 2013 by jdingel. This entry was posted in Uncategorized on 5 January 2013 by jdingel.